One colour (or absence of colour) in a space can elicit a dichotomy of opinions. Often it’s assumed that white is safe, standard and somewhat sterile, but in fact it’s as diverse as every other colour on the spectrum. 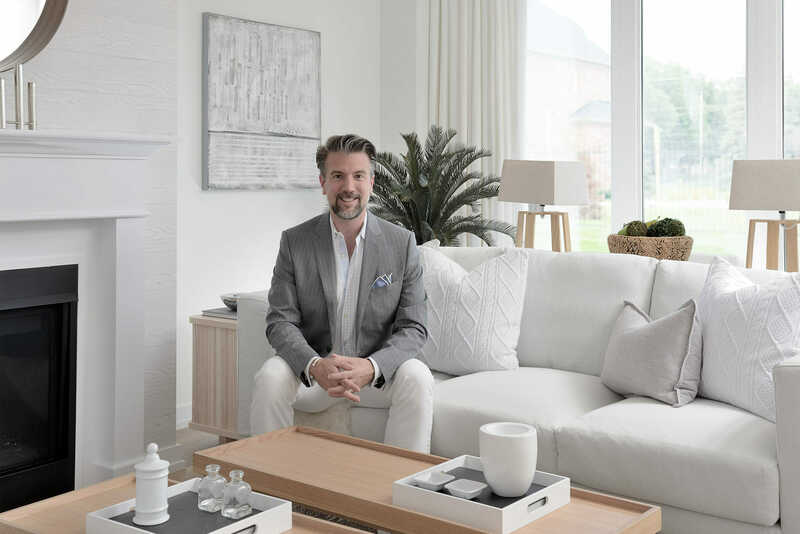 In this Modern Farmhouse style home, interior designer Andrew Pike of Andrew Pike Interiors chose to furnish the living room in a mix of almost all white tones and very little colour. Although the kitchen and breakfast nook in this home are airy and crisp and the bedrooms threaten to sweep you away into sweet slumber, the true pièce de résistance is the formal living room. 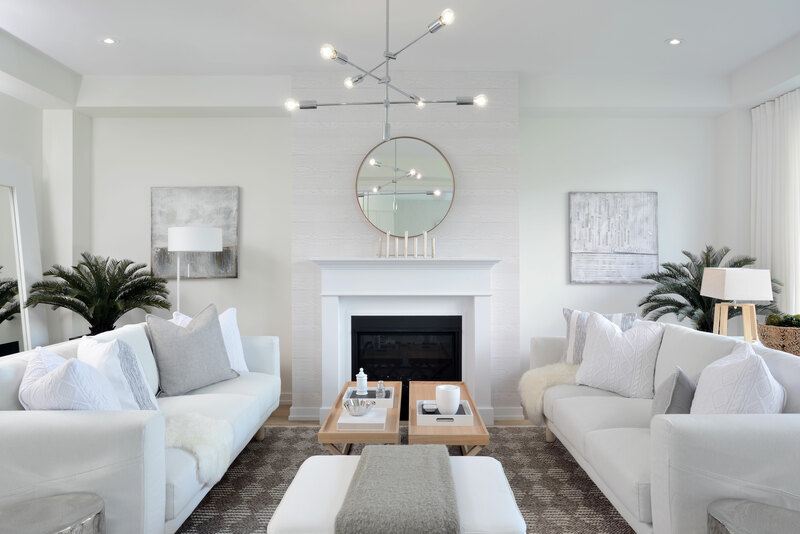 The collection of consistent shades and varied texture in the sofas, pillows, throws and rug gives the room a warm and cozy feel that’s unbelievably inviting with its picture-perfect symmetry and simplistic but striking beauty. Andrew Pike is a nationally recognized interior designer, host and media personality. 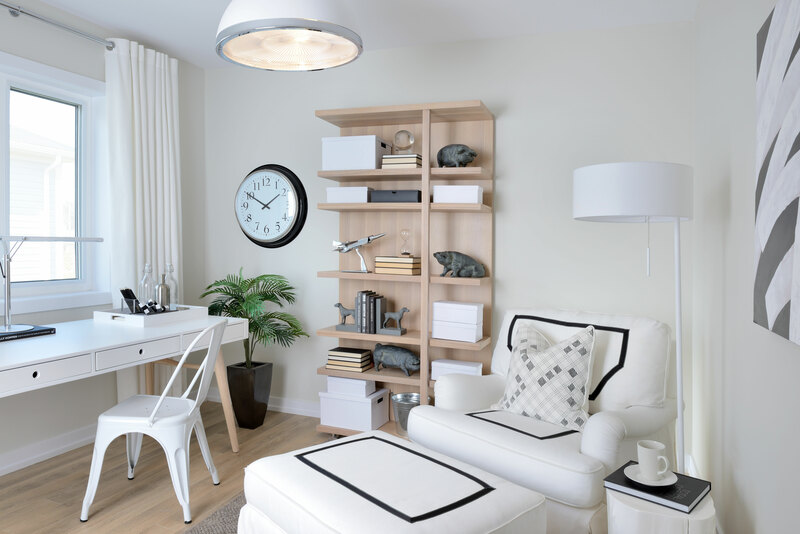 As a resident decor expert on The Marilyn Denis Show and a well-known TV personality, Andrew continues to wow the design world with his curated spaces, where you’ll find not a detail out of place. See his genius in full force, including more home decor inspiration, style guides and tips for your design project in Empire’s video series at LoveDesignLiveEmpire.com or #LoveDesignLiveEmpire on Instagram, Pinterest, Twitter and Facebook. Live Beautifully is a decor and lifestyle magazine created by Empire communities that will hit the shelves in LCBO’s Food and Drink Magazine all throughout the West GTA this May. Empire invites you to view our debut decor magazine before anyone else.